We love to explore New York. Ever since moving way uptown to Washington Heights, we’ve been walking, running, and nosing about to discover the good, the bad, and the ugly about our little neighborhood. 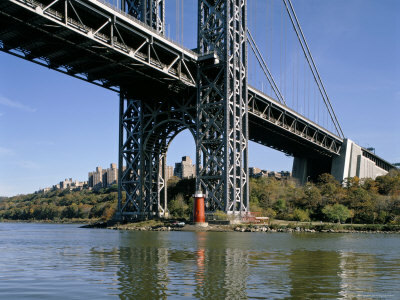 When we discovered that there was a little red lighthouse under the George Washington Bridge, we were intrigued. This weekend, we’re going to search for it. 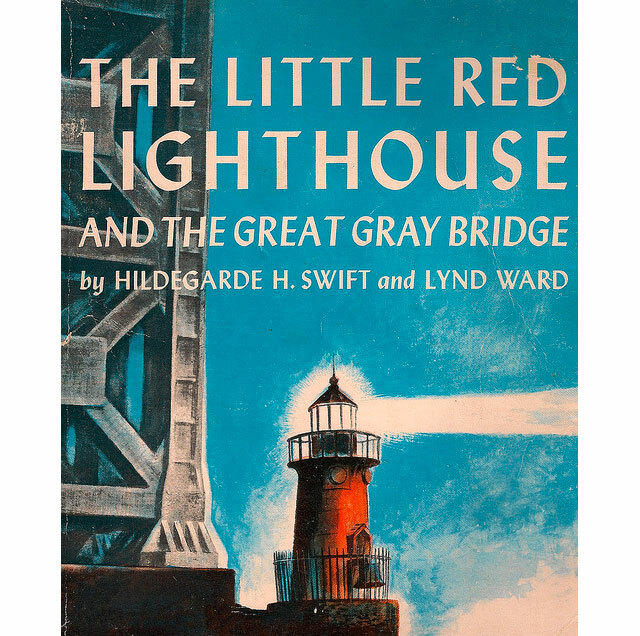 In 1942, THE LITTLE RED LIGHTHOUSE AND THE GREAT GRAY BRIDGE, written by Hildegarde Swift and illustrated by Lynd Ward brought the little lighthouse into the spotlight. The lighthouse, formally known as Jeffrey’s Hook Light, has begun to wonder if it is still needed after the George Washington Bridge is built with a large light on top. On one particularly stormy night, the man who turns on the hard working little lighthouse’s light does not come, and a tug boat crashes into the rocks. The George Washington Bridge calls down to the light house, telling it that it is still important, and that everyone has a job to do. The man eventually comes and turns on the light, and the lighthouse valiantly continues its job, feeling reassured by the bridge’s words. This weekend, we will begin our search. Starting at the 181st A train stop in Washington Heights (well, we’ll start from our apartment but we want you to know how to get here, too), we’ll turn and walk down the hill toward the river and bridge. We enjoy libations on literary searches, so we’ll stop in at our local favorite Le Chéile on 181st and Cabrini for a pint. Continuing down 181st, we’ll walk west to Plaza Lafayette, located on Riverside Drive. We’ll cross the footbridge and take a left down the path continuing under the overpass crossing (yikes), over the railroad tracks, and follow the path to the left. Finally, feeling a bit like we’re going on a bear hunt or over the river and through the woods to grandmother’s house, we’ll arrive at the lighthouse, which is almost directly under the George Washington Bridge. In 1947, just five years after the book was published, the little red lighthouse was decommissioned and abandoned. The lighthouse was slated for demolition and the metal was to be sold for scrap. Children across the United States who had loved the book revolted and started a nationwide campaign to save this historic landmark. The little red lighthouse was saved, and is now under the careful watch of the New York City Department of Parks and Recreation. It is inspiring to see how a book can change the course of history, and this weekend, we aim to pay homage to Ms. Hildegarde Swift and her illustrator, Lynd Ward who together somehow managed to weave a story so captivating that the children were inspired to act. What will you do to continue this tradition of excellent story telling?  Archived in Best Places to Drink in New York City, Book Recommendations, Must Visit NYC and tagged george washington bridge, literary, literature, New York, photography, the little red lighthouse and the great gray bridge, Washington Heights, writing. Bookmark the permalink.